At the age of 25 he has already achieved what no other comedian in the country has by winning a South African Comedy Award as well as having been nominated for the Best Comedian of the Year Award at the Stars of Mzansi Awards 2008. 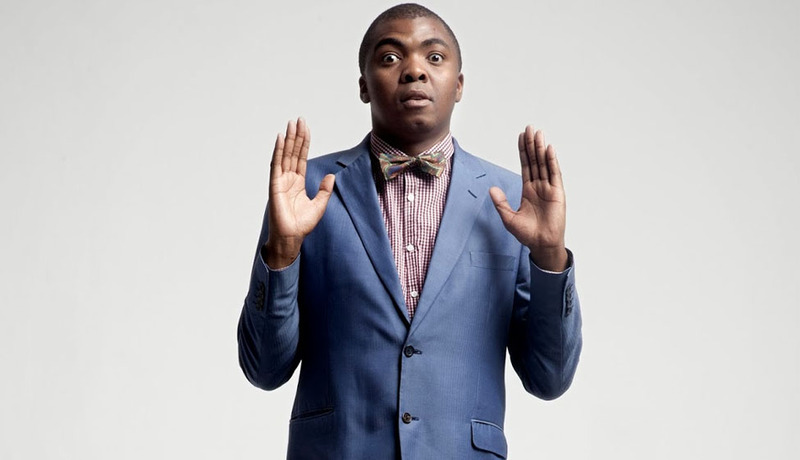 Loyiso Gola’s unique sense of humour, affinity towards openly frank and observational commentary has carved him into a comedy genius elevating his status to be one of South Africa’s most talented comedians. Full of young, fashionable people drawn in by the YFM sponsorship, who arrived chatting eagerly while sound clips of Gola impersonating different politicians played between the background music. Well, not intentionally anyway, but when Loyiso Gola gets hold of it, you can't help but laugh. It's not often that politics is entertaining but that is exactly the reaction from the audience at his new show at the Market. His so slick at finding his way off stage, however, getting lost in the curtains before Gola burst into the spotlight. The show opened with a performance from TOP, a rapper from Cape Town, whose lack of stage presence was made up for by the sheer speed of his material. While some of his material pushed the boundaries, it was rescued by his charisma on stage and the steady pace of his performance. A play on accents and impersonations were particularly impressive, ranging from Nelson Mandela to coloured beggars on the streets of Cape Town. His insights into South African life showed his keen social eye and the enviable ability to find the humour in everyday situations. Gola got off the mark quickly, immediately finding his groove with the audience. His jokes were sharp and consistent as he rolled with the punch lines and eventually had some people doubled up in their chairs with laughter. So while he may not really be running as a presidential candidate, Loyiso Gola's political views are worth hearing, even if only for a good night out. This American influence is obvious from the very beginning when he enters the stage to Jay-Z's Show Me What You Got and it creeps into his language throughout. While this is quite disjointed with the South African material, Gola's shrewd understanding of the nature of this country saves it from becoming something you would see on shows such as Saturday Night Live. Gola has a style reminiscent of comics such as Chris Rock and Dave Chappelle, with animated gestures and a high-energy performance.